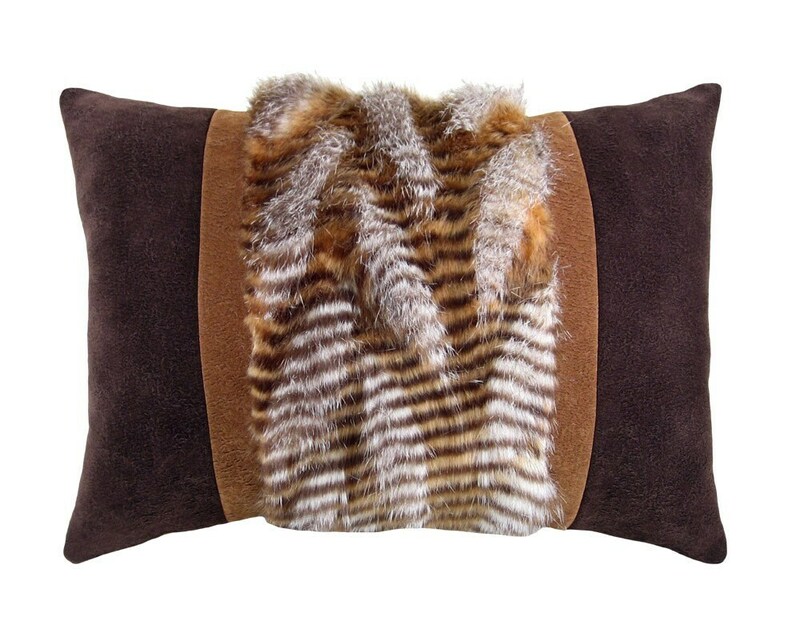 The front panel of this funky little pillow is adorned with fluffy faux fur that reminds us of pheasant feathers. Super soft micro-suede fabric body, chocolate and light brown front, light brown back. Hand sewn closure. Perfect decorative accent for that log cabin feel.